Digital Marketing: Why Is It Important, And How Can You Use It To Your Advantage? In the world of marketing, understanding your audience is the most important rule to follow. Today’s consumers are constantly connected to the rest of the world through the use of technology. Rather than trying to market your business to consumers through traditional tools such as newspapers and outdoor advertisements, modern marketers must tap into this class of technologically savvy consumers, which can be done through digital marketing. The idea of digital marketing isn’t anything new. The term was coined in the 1990’s, and has only grown more important since. However, you might still be wondering, “What is digital marketing?” Digital marketing can be defined as the promotion of products and/or brands through the use of electronic media. This umbrella term digital marketing includes any marketing via television, radio, websites, email, social media marketing, text messaging, and other media platforms. Digital marketing allows companies to track the success of their marketing strategies with ease. Understanding the importance of digital marketing will lead to greater knowledge on how to market your business successfully. As previously stated, companies often use digital marketing as a tool to keep track of how well they are marketing their business. Using traditional media such as print magazines or newspapers to market your business are now less affective than digital media because these types of channels are very difficult to track. Although it is easy to track the number of magazine copies sold, it is difficult to determine exactly how many people will read it once it is purchased. Tracking media using digital marketing has proven to be extremely beneficial to marketers worldwide and continues to grow in value. When brands incorporate a digital marketing strategy into their marketing plan, they can use this as a tool to monitor not only how many people view their advertisements, but also how long they view the ad, if they click on the ad, and whether or not they go through with purchasing the product after clicking the ad. These statistics are available to marketers at digital marketing agencies in real time, which makes them that much more effective. With real-time information streaming in, marketers can quickly decide what they did right, what they should have done differently, and how to change their digital marketing advertisements for further success in the future. However, views and clicks are not the only tools that digital marketing agencies can use to track their success. The online conversations that consumers have about companies and products are also being monitored. The creation of social media has allowed consumers to be connected not only to the business itself, but also to fellow consumers with similar buying patterns. Consumers trust each other’s opinions more than they will every trust the brand itself. If customers are extremely satisfied with a product, their online discussions might prompt more hesitant consumers to make a purchase. Reviews and open conversations on company websites are extremely important for digital marketing agencies to monitor as well. The ability to see what consumers really think about a brand or product can be extremely beneficial to marketers. Unfiltered, uncensored reviews can tell the company exactly what they’re doing wrong and gives them the capability to step in and fix it. The most important thing you should understand as a marketer are the wants and needs of your audience, and digital marketing offers a means to do just that. The ability to analyze the thoughts and opinions of customers can be very beneficial to digital marketers. However, creating a two-way conversation with these consumers can benefit your business even more. Building relationships with your customers creates greater brand loyalty and generates trust. Although customers are likely to listen to the opinions of other customers like themselves, gaining their trust is still very important to marketing your business. Knowing where to reach your audience is key in building this relationship. 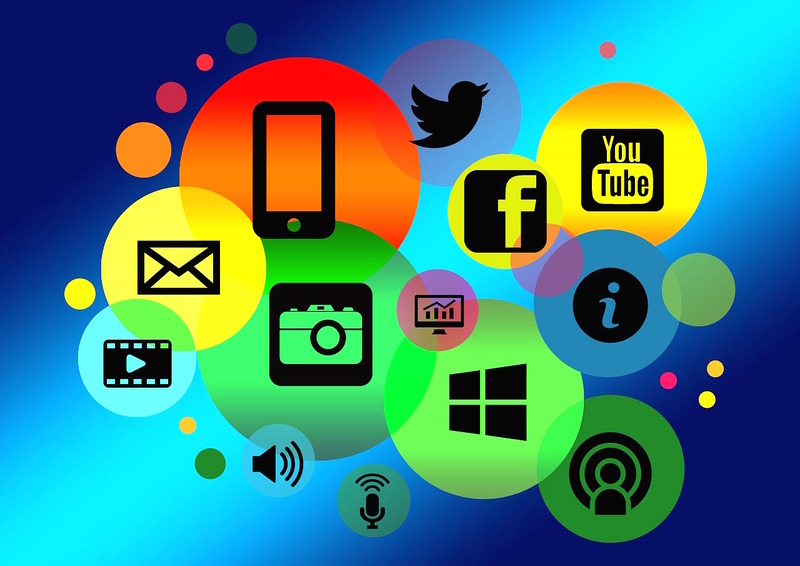 Understanding the media channels they use, such as preferred social media platforms or company websites, can lead to better engagement with the consumer. It is also important to initiate conversation with your audience. Being proactive will lead to more success in the world of digital marketing than simply responding to a customer complaint. Monitoring all of these conversations can greatly benefit your digital marketing agency and will allow them to make marketing decisions quickly. Digital marketing is an incredibly complex and significant tool. However, this tool can make marketing your business a simpler and more productive task. With real-time results, digital marketing agencies are able to analyze data quickly so that your company can improve its marketing strategy in the future. CATMEDIA is a certified Woman-Owned Small Business (WOSB) firm based in Atlanta. The firm’s trademarked communications process, CATVANTAGE™, enables the team to deliver customized solutions to meet client needs in creative services, strategic communications, training and eLearning programs, and program management. For more information about CATMEDIA, visit CATMEDIA.com.